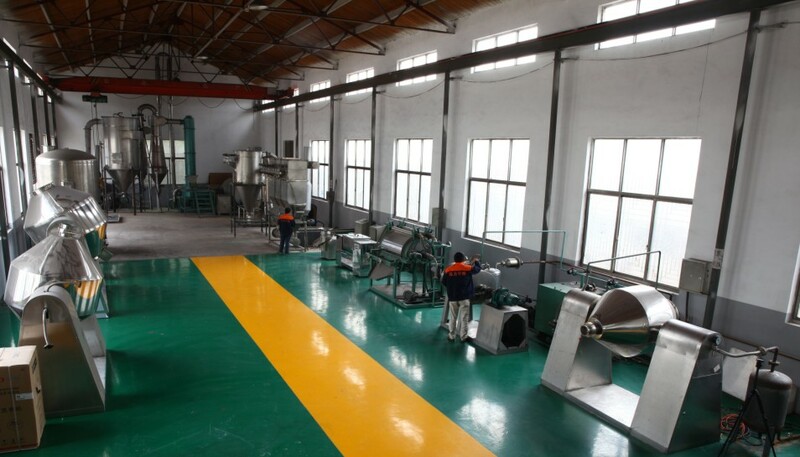 Find Rubber Recycling Machinery, Heating Equipment , Plastic Extruder on Industry Directory, Reliable Manufacturer/Supplier/Factory from China. The hot air tangents enter the raw material of the dryer through the screw feeder. Under the strong action of high-speed rotary paddle, the bulk material of the material is quickly crushed and completely falls off. 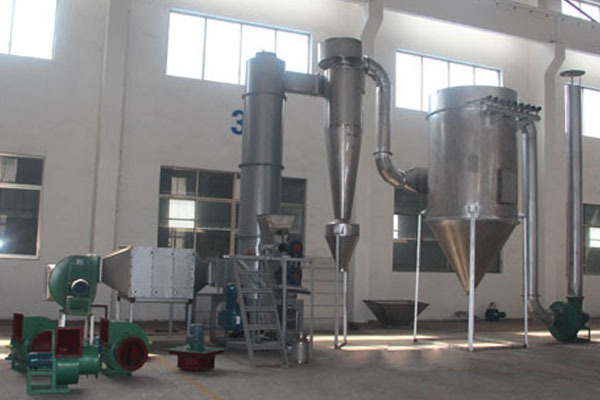 The dehydrated material rises with the hot gas flow and leaves large particles in grade and environmental protection.Then crush the bottom and dry, without drying or recycling through the cyclone separator and dust collector. ◎ organic combination of swirling, fluidization, spouting and crushing and grading technology. ◎ Compact equipment, small size, high production efficiency, continuous production, and realization of "small equipment, large-scale production." ◎ Large drying strength, low energy consumption, high thermal efficiency. ◎ Short material residence time, good quality of finished product, can be used for heat-sensitive material drying. ◎ negative pressure or micro-negative pressure operation, good sealing, high efficiency, eliminate environmental pollution. Organics: Atrazine (pesticides), lauric acid, benzoic acid, benzoic acid, bactericide, sodium oxalate, cellulose acetate, organic pigments. Dyes: Antimony, black iron oxide, indigo pigment, butyric acid, titanium hydroxide, zinc sulfide, various azo dye intermediates. Inorganic materials: borax, calcium carbonate, hydroxide, copper sulfate, iron oxide, barium carbonate, antimony trioxide, various metal hydroxides, various heavy metal salts, synthetic cryolite, and the like. Food: Soy protein, gelatinized starch, wine chute, wheat sugar, wheat starch, etc. Note: 1. Moisture evaporation is the amount of water evaporated per hour when the inlet air temperature is 1 80 o C, and the outlet air temperature is 80 o C.
2. Special designs can be made for users except the above models. 3. Installation above The capacity is standard and can be significantly reduced depending on the power of different materials. Changzhou Suli Drying Equipment Co., Ltd. is a modern enterprise specializing in the design and manufacture of dryers, vacuum dryers, belt dryers, coal-fired hot-air ovens, drying, medicine machines, and chemical equipment, and is dedicated to designing and manufacturing production lines. 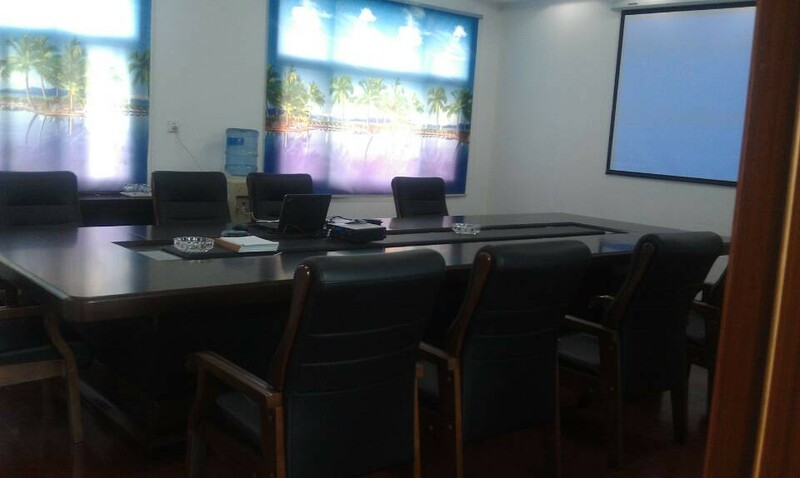 The company is located in Sanhekou, Jiaoxi Town, Changzhou City, Jiangsu Province. The transportation is very convenient. It is 1km away from the crossing of Shanghai-Nanjing Expressway. Over the years, with the cooperation of high-tech engineering personnel and technical personnel, the company has continuously updated its products and continuously improved its quality, and it is well sold throughout the country. The company is based on its solid comprehensive strength, leading professionals and technical equipments of its peers, and relying on high-quality products as its mainstay, and constantly improving its marketing management system to create a high-quality Sugan brand and establish it in the drying industry. Unshakeable position. This is an era full of competition. Suli is persistently striving for excellence, excellent reputation and first-rate quality. Su Li is making unremitting efforts, sincerely paying attention to your needs and serving you wholeheartedly. Su Li struggled hard and raised national ambitions to create a world-renowned brand. Company Name: Changzhou Su Li drying equipment Co., Ltd.